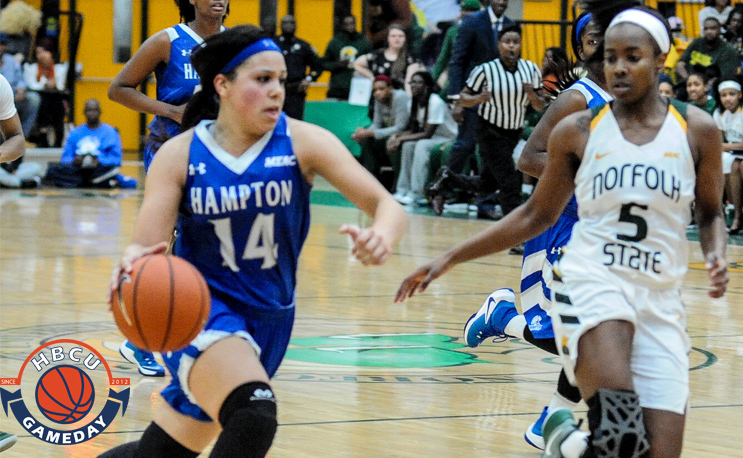 The experts are predicting a Lady Pirate repeat in the MEAC this year. NORFOLK, Va. — The 2017-18 Mid-Eastern Athletic Conference (MEAC) Women’s Basketball Preseason polls and awards was announced today by the conference office and Hampton was selected as the favorite by the league’s coaches and sports information directors. Three Lady Pirates were selected to All-MEAC squads as Monnazjea Finney-Smith was a first team selection, Jephany Brown a second and K’lynn Willis was a third team selection for the defending champs. Hampton picked up 13 first-place votes in earning the preseason favorite role. The Lady Pirates won 20 games and their sixth MEAC Tournament title in eight seasons last year. Defending regular-season champion Bethune-Cookman was picked to finish second, receiving seven first-place votes, while North Carolina A&T State picked up five first-place votes and was picked to finish third. Rounding out the rest of the preseason poll are Norfolk State, Howard, Florida A&M, Maryland Eastern Shore (one first-place vote), Morgan State, Coppin State, Savannah State, Delaware State, South Carolina State and North Carolina Central. Finney-Smith averaged 12 points and almost six rebounds per game last season as she earned All-MEAC Tournament team honors. She had four double-doubles on the year and put up a season-best 25 points in a home win over Norfolk State. Finney-Smith was tops on the team in 3-pointers made (68) and was among the league leaders in 3-pointers made and free throw percentage. Brown earned MEAC Tournament MVP honors after averaging 12.3 points and 5.3 rebounds per game in the conference tournament. Her last six games of the season she averaged 14.7 points and just under six rebounds per game. Brown had a season-high 20 points against Maryland Eastern Shore in the opening round of the tournament and added a season best eight steals in the semifinals against N.C. A&T. Willis averaged 6.4 points per game and scored in double digits 10 times topped by 17 points against Richmond. She was a sparkplug on defense as she frustrated opponents with her speed and defensive tenacity recording a season high four steals. Willis was a 2016 Preseason Third Team selection as well. Hampton will open the season at the University of North Carolina on November 10 for a 3:30 pm tip in Carmichael Auditorium.